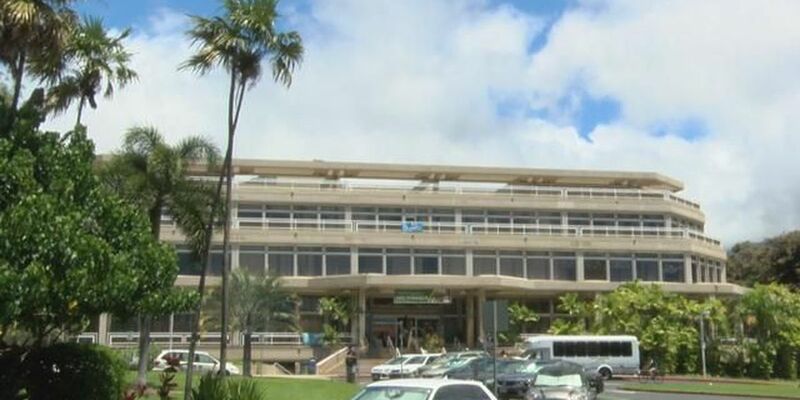 HONOLULU (HawaiiNewsNow) - The University of Hawaii's top budget official has stayed on the UH payroll nine months after he was replaced, allowing him to qualify for retirement benefits. The move is generating criticism from one state senator who said it's another example of a golden parachute for a departing UH executive for which taxpayers will pay dearly. Howard Todo was UH's vice president for budget and finance since 2005, earning $279,000 a year. But in January of this year, the university replaced Todo with Kalbert Young, who had been the state budget director. Since then Todo has remained on the UH payroll, working out of the second floor at Bachman Hall in a new position as an administrative program officer, at an annual salary rate of $145,000 but working half time, according to UH spokesman Dan Meisenzahl. "I think people should realize that Howard Todo could have easily stayed here, hit his ten-year mark, and given us two weeks' notice and left," Meisenzahl said. Todo is being allowed to keeping working at UH through next month, allowing him to hit 10 years of service this fall, meaning he'll qualify for about $55,000 a year in pension and receive half of his retirement health benefits covered for life. "When they try to get rid of these people, then they try to give them a golden parachute and allow them to retire," said State Sen. Donna Kim. "Not only are they paid a high salary, but now the state of Hawaii and the taxpayers have to pay for these people's retirement for the rest of their lives." Kim said top officials at UH have told her about Todo's situation. "He was asked to leave and they wanted him to step down quietly and in exchange, allowed him to stay on in a special way so that he could get his retirement," Kim said. Not true, said UH spokesman Dan Meisenzahl. "He was never in a position where he was about to get fired. He was never in a position where he's going to be asked to leave, but he knew that that day was coming and knew how long it took to fill the position that he's in," Meisenzahl said. Todo sent a letter about his intention to retire to UH President David Lassner in July of 2014, just a month after Lassner was selected as the permanent UH president. In the letter, Todo told Lassner he intended to stay at UH until October 31, 2015. "If you are able to secure an individual prior to October 31, 2015," Todo wrote, "I am willing to serve in another executive or managerial position commensurate with my credentials and experience where there is a need for leadership until my retirement." Meisenzahl said Todo didn't want to leave the university hanging, so he gave UH more than a year to recruit a new financial executive and transition to new leadership. "In a lot of ways, I think it's unfair that here he is trying to do the right thing but people see something mischievous about it," Meisenzahl said. Todo ran an office that oversees a budget of $1.5 billion operating budget for a ten-campus system. In his new position, he's been involved in various UH financial affairs, Meisenzahl said. "He's been working on refinancing debt, he's been working on the budget, all of the different reports that are due. He's had a number of tasks and he's been delivering," Meisenzahl said. Kim questioned exactly what Todo is doing in the new position. "I'm told he's never around," she said. "This is incredible. It's gotta stop. It's gotta stop." Young took over as UH vice president for budget and finance in January at a salary of $237,000 a year, more than $40,000 less than Todo's salary in the same position.